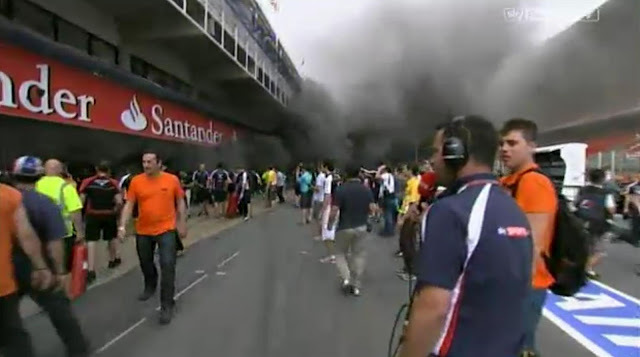 Just after the end of the Spanish Grand Prix, a fire broke out in the Williams garage. Many are reporting that a KERS units ignited a fire in a fuel rig at the back of the garage. 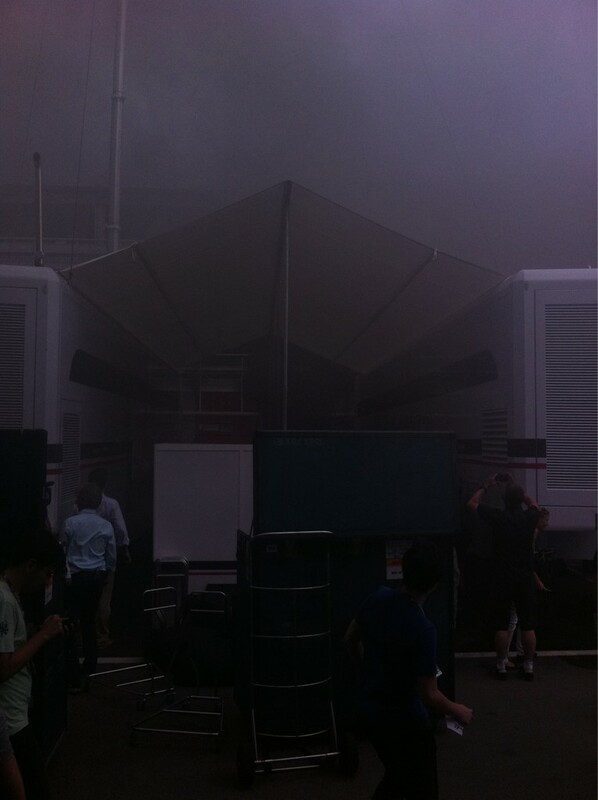 Pastro Maldonado's car was in Parc Fermé at the time, so only Bruno Senna's car was present. Smoke poured out of the garage as pit crew rushed to contain the blaze. Although wheelchair-bound Sir Frank Williams was in the garage at the time, he was quickly rushed out the door without injury. Several people required medical treatment after the fire was put out. 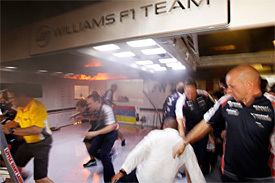 Four members of the Williams team were injured at treated at the track's medical centre. One was released at that point, but the other three were sent on to the local hospital. 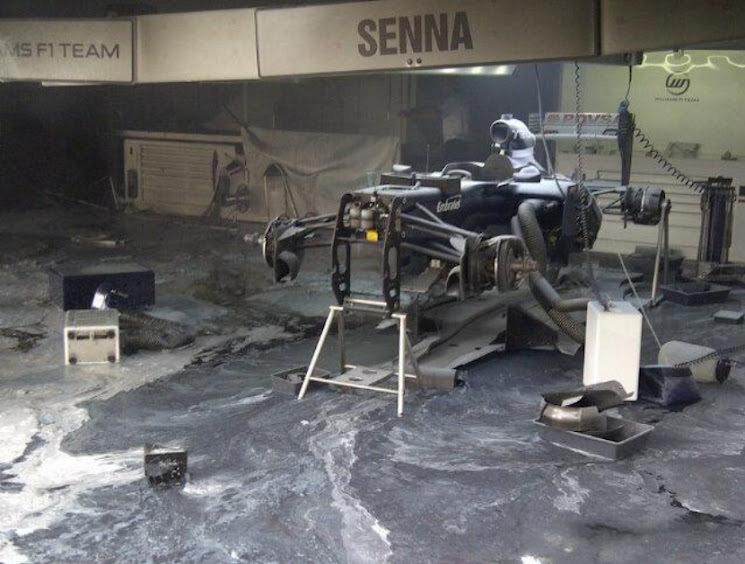 The Caterham team in the next door garage also had casualties, with three of their crew treated for smoke inhalation and a fourth reported as having a hand injury. A Force India team member was also treated for smoke inhalation. 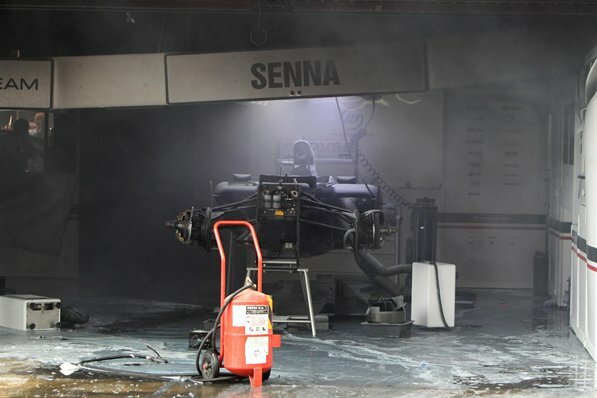 Bruno Senna's care was damaged in the blaze, but not as badly as initially feared. Police and firefighters are investigating to find the cause of the fire. The next F1 race is at Monaco in two week's time. 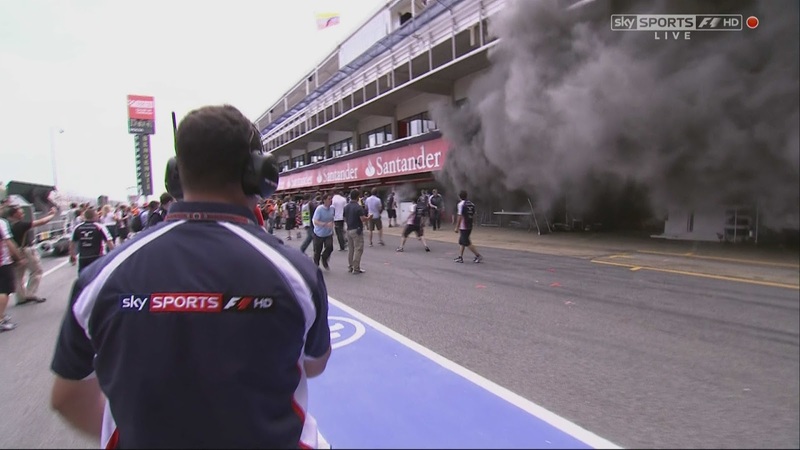 Montmelo, May 13th - The FIA can confirm that a fire broke out in the Williams garage after the conclusion of the Spanish Grand Prix. 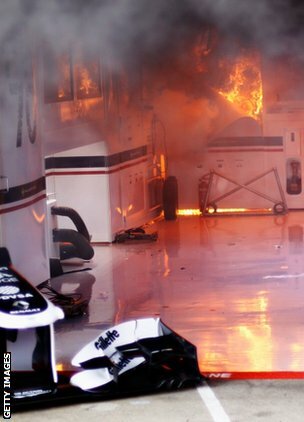 The flames were quickly brought under control through the combined intervention of staff from Williams, Caterham and Force India, supported by the circuit fire services. Thirty-one team members were seen by Circuit Medical Centre staff and all have been released, with the exception of seven who were transferred to a variety of local hospitals where they are receiving treatment. The FIA is collaborating closely with the Spanish authorities investigating this incident and will be providing a further update as soon as more information becomes available. Catalonia's regional government also issued a statement say that one person was airlifted to hospital in Barcelona with serious burn injuries. Williams have confirmed that this person is one of their staff. Lewis Hamilton paid a flying visit to the Williams garage not long before the explosion, but reports that he had a lighter in his hand are just a rumour that my wife is keen to spread. Whatever his intentions, Lewis found that McLaren had forgotten to put any fuel in his lighter.